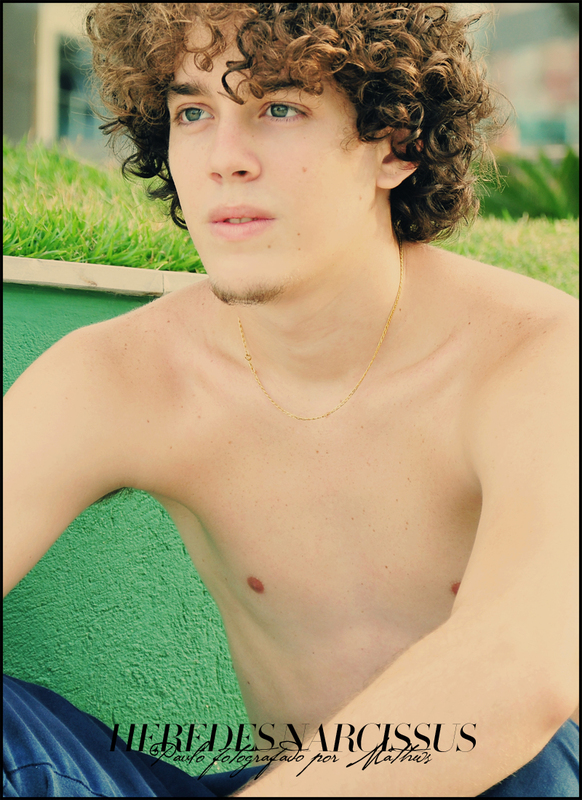 Queiroz Junior in Heredes Narcissus, by Mathws. 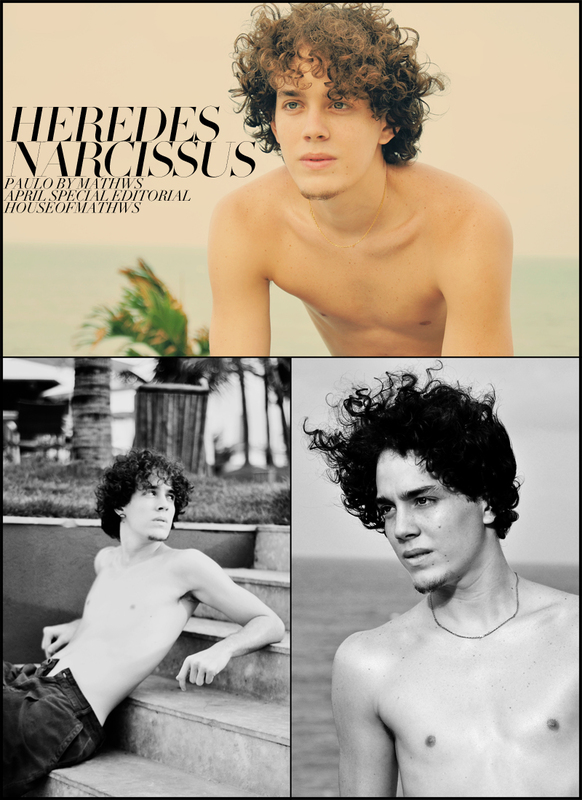 Paulo André in Heredes Narcissus, by Mathws. 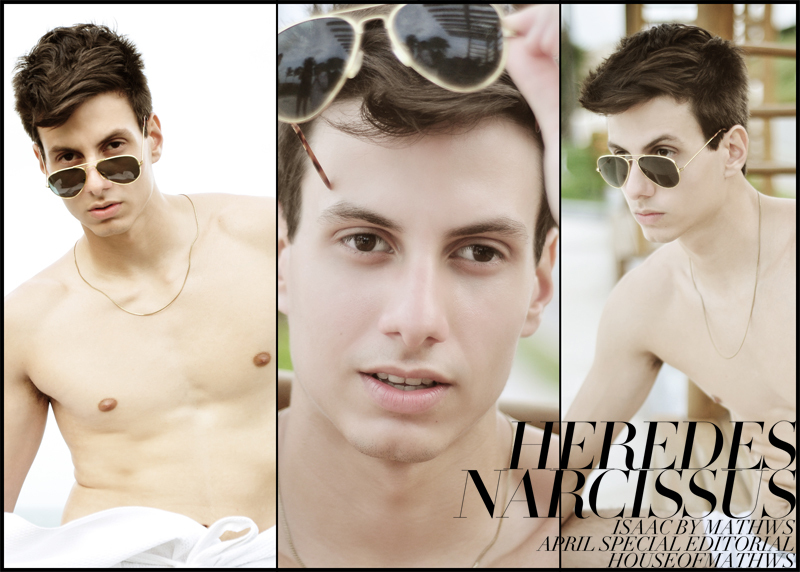 Isaac Avelino in Heredes Narcissus; by Mathws. 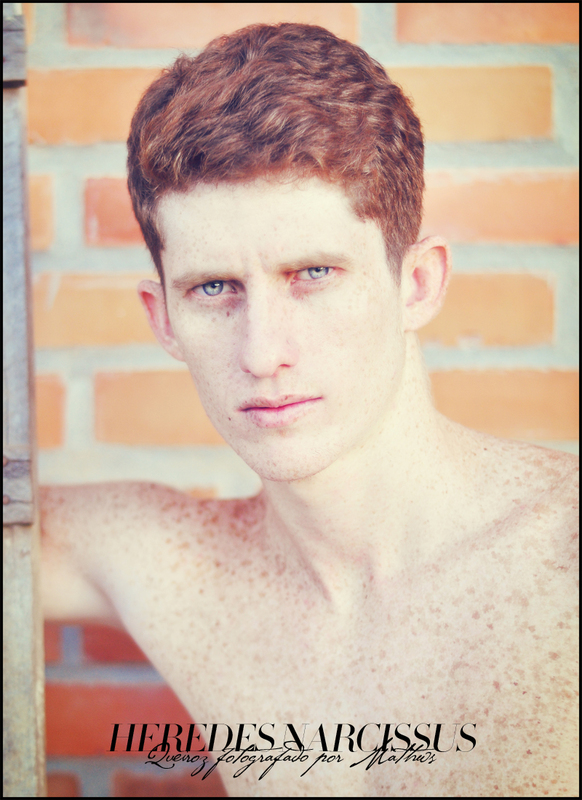 Paulo Melo in Heredes Narcissus, by Mathws. Higor Daniel in Heredes Narcissus, by Mathws. 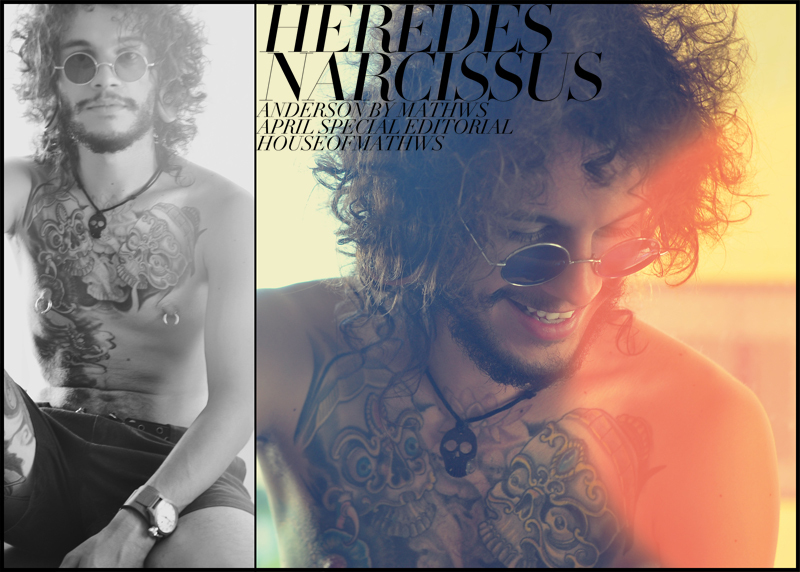 Ramon Rocha in Heredes Narcissus, by Mathws. 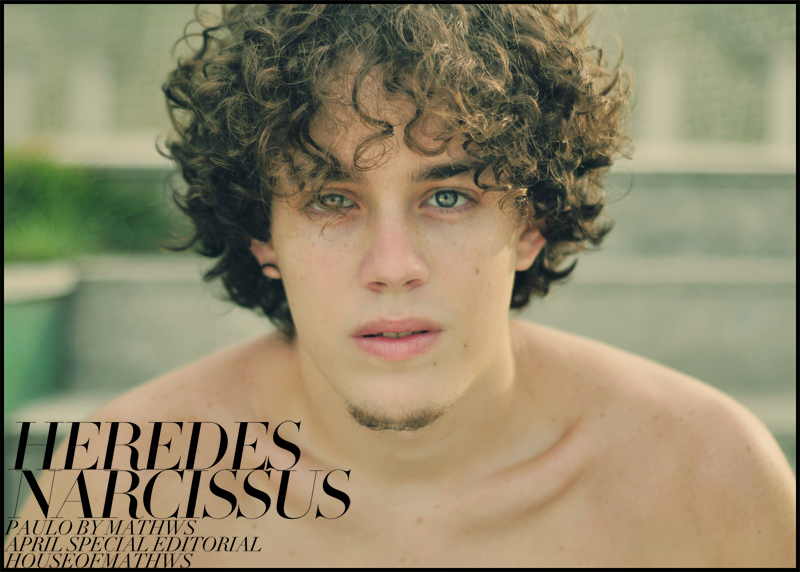 Luiz Claudio Cobello in Heredes Narcissus, by Mathws. 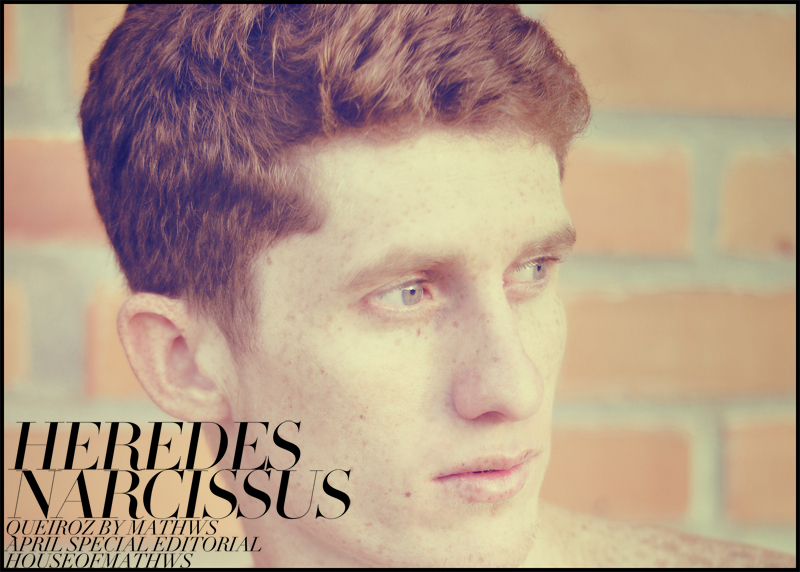 Rodrigo Silva in Heredes Narcissus, by Mathws. 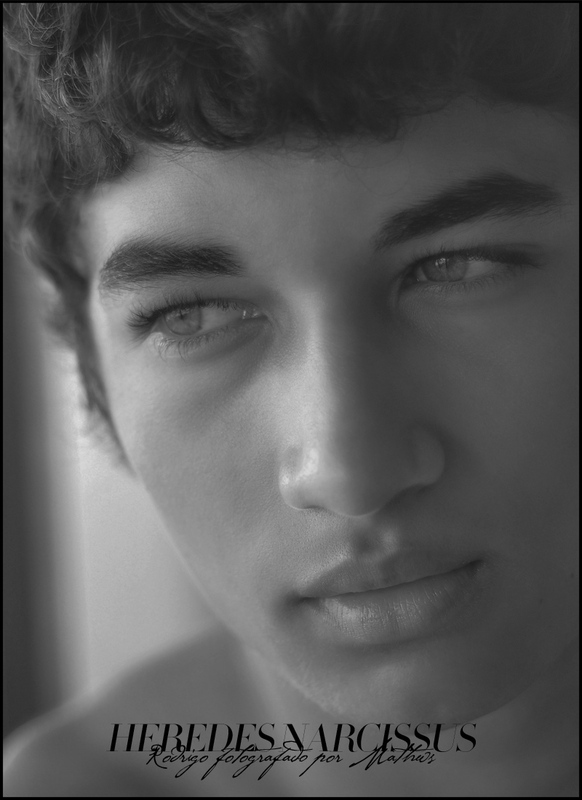 Arthur Muniz in Heredes Narcissus, by Mathws. Hugo Volkmer in Heredes Narcissus, by Mathws. 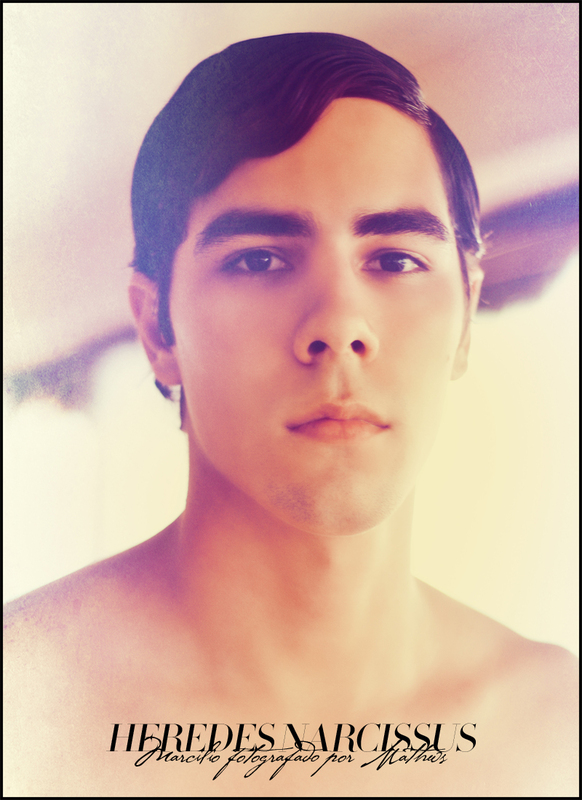 Augusto Junior in Heredes Narcissus, by Mathws. Luan Péricles in Heredes Narcissus, by Mathws. 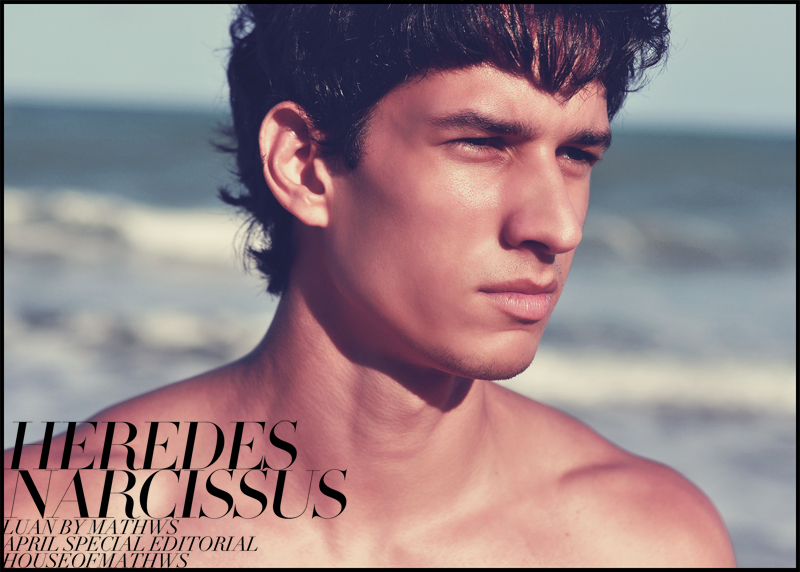 Rodrigo Fernandes in Heredes Narcissus, by Mathws. O charme da barba desleixada para roubar um cheiro no cangote. O suor que escorre dos ombros para o peitoral que nos protege dos medos mais inseguros confortando de segurança as nossas ilusões. As costas largas onde escalamos caminhos de desejos por um prazer dominador, capaz de remover sentidos entre os mais diversos mundos e despertar as mais fugazes paixões. Uma sensibilidade de príncipe que nos faz sonhar acordados com o mais glorioso e mágico conto de fadas e seus alados cavalos brancos de asas que nos transportam para qualquer lugar. O auto-admirador, o herói, o homem imbatível, o menino-moleque, o garoto - que ninguém resiste aos mistérios, o várias versões, ou a melhor delas, os Moços. A ensolarada beleza Potyguar que ofusca o espelho e faz herança. Os deuses do sol. Narciso tem sido uma grande fonte de inspiração para os artistas há pelo menos dois mil anos. O mito greco-romano famoso pela sua beleza e orgulho, será apresentado neste editorial de diversas formas, mas sem perder o ar inteligente-safado-malandro caracteristicamente brasileiro. HEREDES NARCISSUS está inocente, gostoso, excitante e até provocador... Está assim, uma verdadeira "cama de juncos", para preguiçar. The charm of unkempt beard to steal a kiss on the neck. The sweat that runs down from the shoulders to the chest protects us from most insecure fears, comforting our illusions. The broad back where we climb roads of desire, searching for dominating pleasure, able to remove the senses among the various worlds and awake most fleeting passions. A sensibility of a Prince that makes us dreaming of the most glorious and magical Fairy Tale and its winged white horse that carry us anywhere. The self-admirer, the hero, the unbeaten man, the boy - which mysteries nobody resists, the various versions, or the best of them, the Young Men. 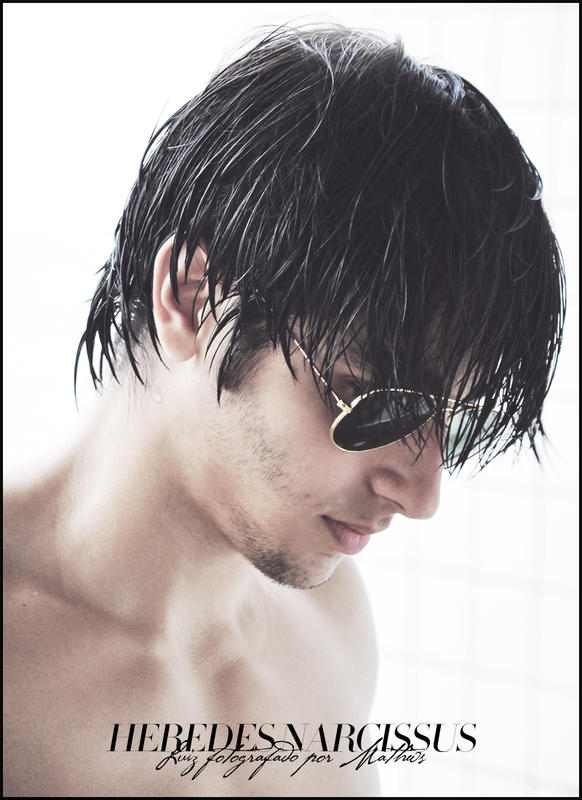 The sunny Potyguar* beauty that dims the mirror and makes inheritance. The sun's gods. Narcissus has been a great source of inspiration for artists for at least two thousand years. 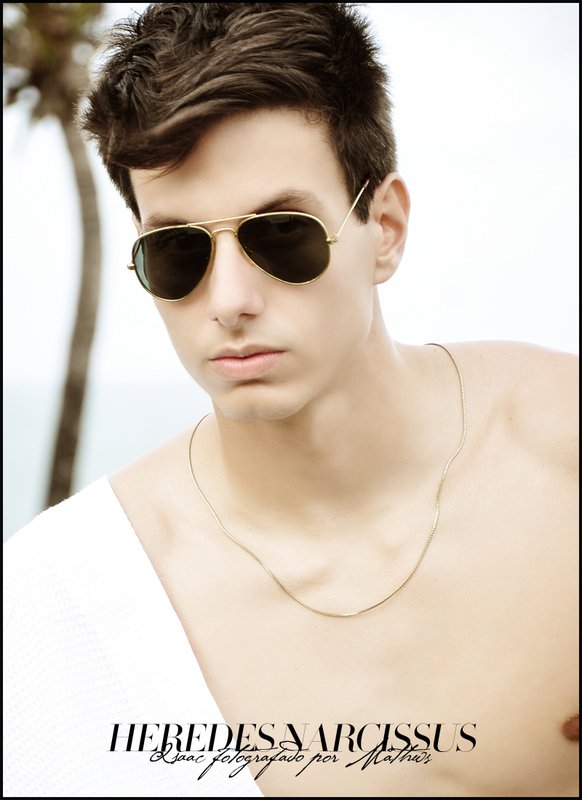 The Greco-Roman myth famous for its beauty and pride, in this editorial, will appear in several ways, without losing this tipical smart-easy-rogue brazilian soul. 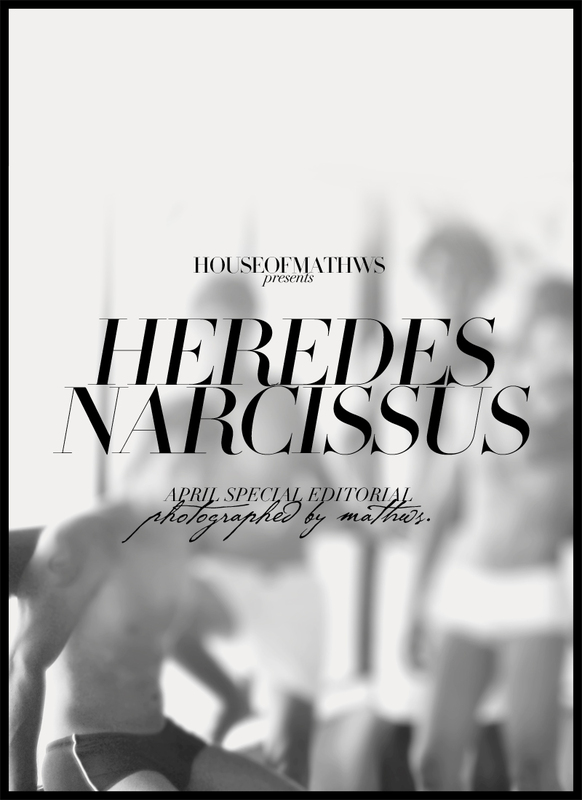 HEREDES NARCISSUS is innocent, hot, exciting and even provocative... Like a true "reed bed" for lounging. *Potyguar, the native being from the Rio Grande do Norte brazilian state. 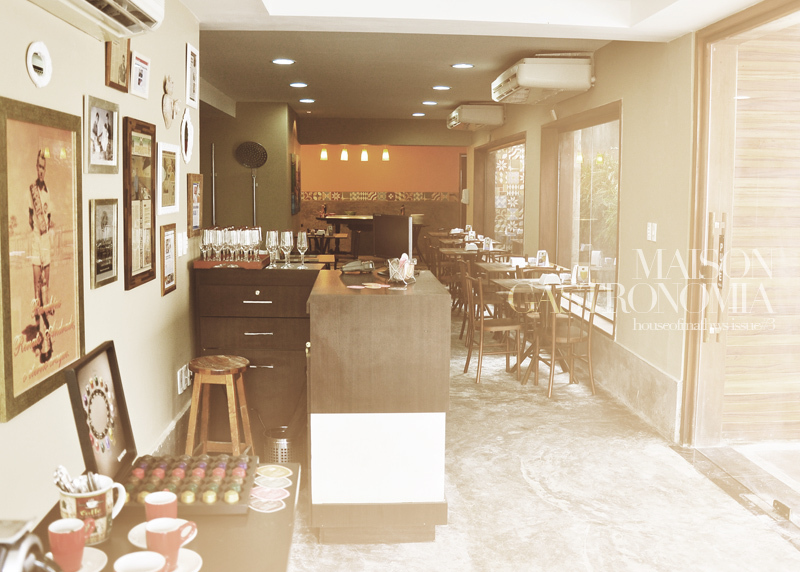 Senhoras e senhores, conheçam o Maison Gastronomia, o mais novo restaurante da minha cidade, onde tem dedo meu \o/, pois dele, cuido da comunicação: logomarca, campanha publicitária e todas as outras formas de comunicação que um restaurante precisa. E criei com vontade, pois era para o melhor da região. 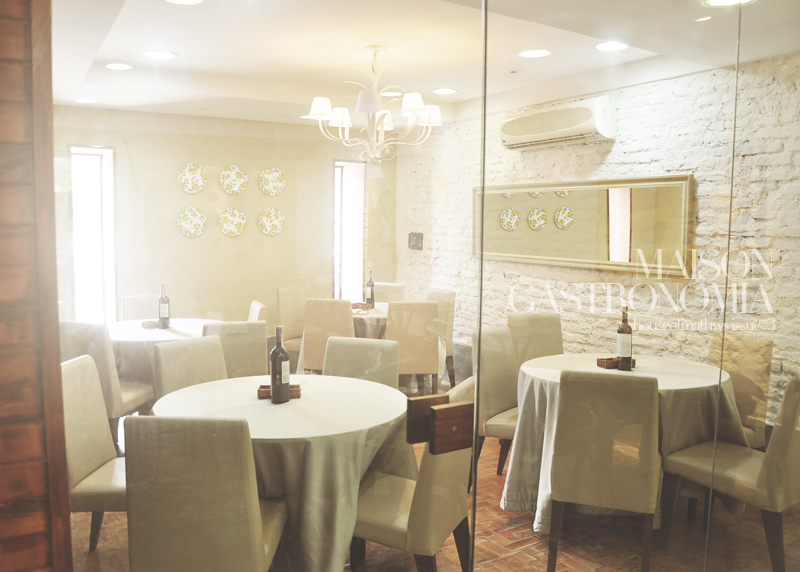 Sempre foi um sonho administrar a comunicação visual de um restaurante, porque eu acho que, além da moda, gastronomia é um assunto que podemos criar bastante e com liberdade! Arte, bom gosto, conforto e satisfação: esses são elementos indispensáveis para um bom restaurante. Além disso, existia também o nome tradicional da família que assina o estabelecimento. Sendo assim, partindo desses principis, eu pensei: "é como se fosse uma casa de uma senhora que recebe seus familiares para as refeições". Então é isso!... A massa do trigo, o colorido dos doces, o verde das ervas e a madeira de um belo ambiente. 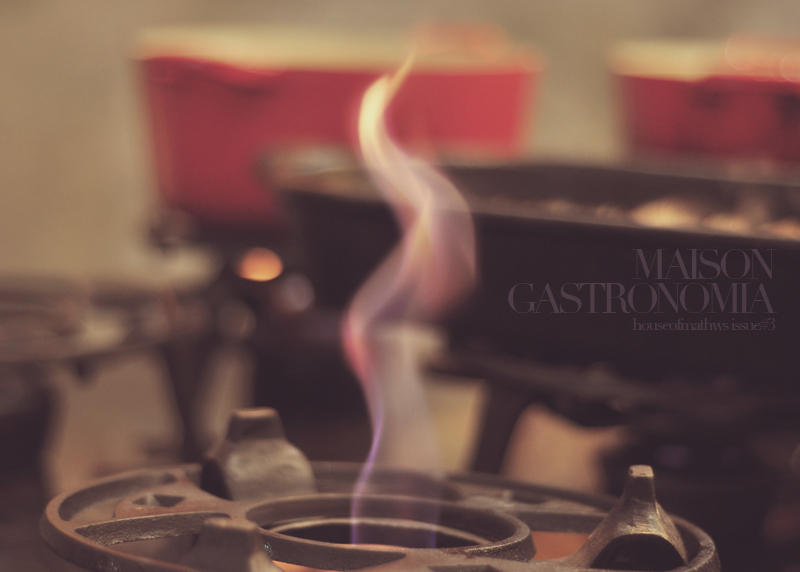 Bem vindo ao Maison Gastronomia! The business cards, that are the logos. 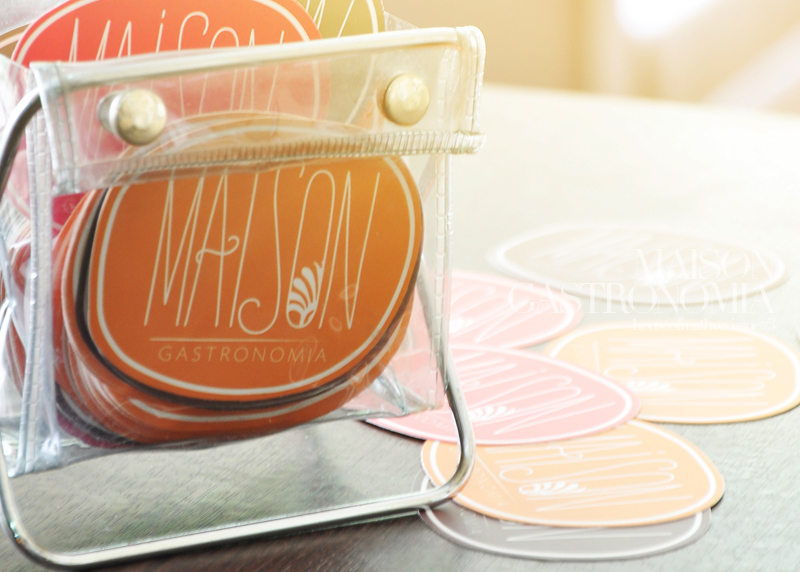 Ladies and gentleman, welcome to Maison Gastronomia, the brand new restaurant in my town, where I put my touch on \o/, because from it, I take care of the communication: logo, ad campaign and all kinds of communication needed for a restaurant. And I work hard, because I had in my mind it was for the best around here. It was always a dream to manage a visual concept for a restaurant, because I think, beyond fashion, gastronomy is a great field to create different things and let your mind go beyond. 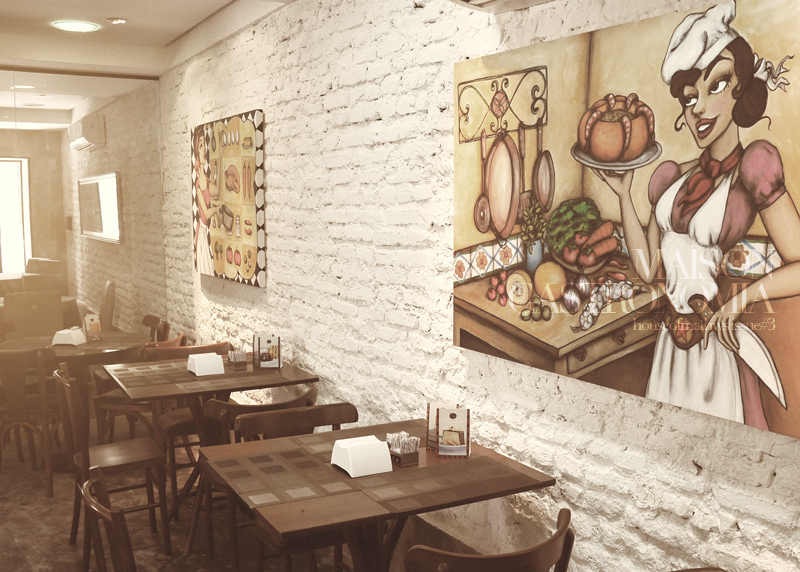 Art, good sense, comfort and satisfaction: these are the essential elements for a good restaurant. And, in my case, there was the tradicional and strong name of the household members that owns the establishment. Thus, by these principles, I thought: "It's like a house of a lady where she who receives her family for meals". So that's it!... 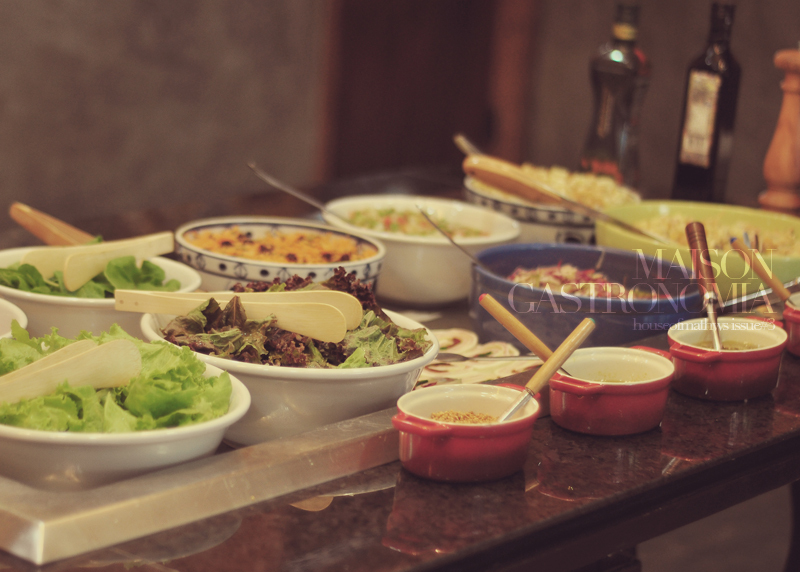 The mass of the wheat, the colorful candy, the green herbs and the wood of a beautiful environment. 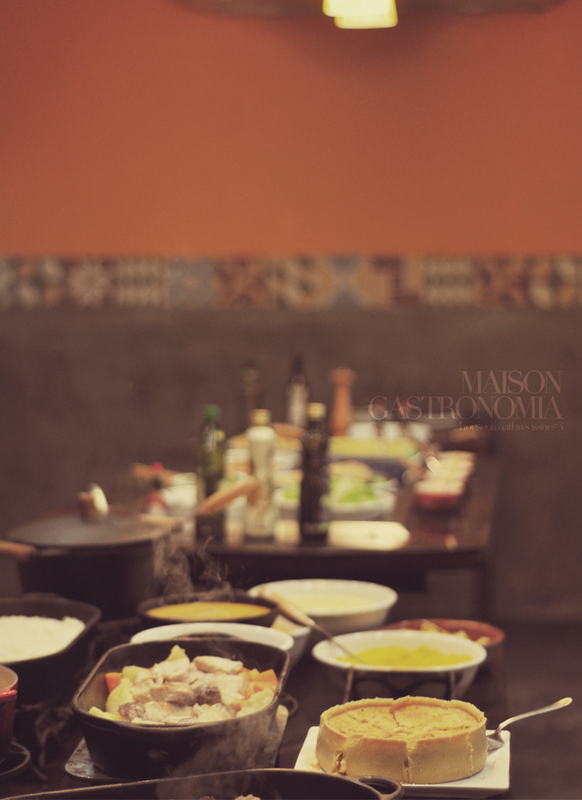 Welcome to Maison Gastronomia!